The Indigenous Guide assumes that the issues and conflicts addressed in academic conversations around Indigenous literature and culture, questions of history, politics, language, representation, and colonialism, are issues that need introduction if students are to give them sufficient attention. The aim of this guide, then, is to give students the tools to be the kinds of active, engaged, listeners that W. H. New describes in his editorial for the Native Writers & Canadian Literature issue, with the hope that good listening may lead to good scholarship and critical engagement. Furthermore, as Margery Fee writes in her editorial for the First Nations Writing issue, the issue at play here is one of power and interpretation, and “Interpretation can be a kind of respectful listening or it can be a kind of appropriation …” (7). To learn how to avoid appropriative listening, it is helpful to know a little bit about the colonial contexts in which Canadian Indigenous literature is, and has been, written. To begin this conversation, it is helpful to comment briefly on the way that colonialism led to a loss of Indigenous languages and land, and how the cultural process of forced assimilation was designed to erase Indigenous identity. These themes will be introduced here, but they will be taken up in more detail throughout the Guide. While loss is a neutral term in scholarly discourse, Indigenous peoples did not lose their language the way that one loses their keys. 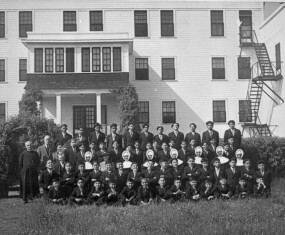 Indian Residential Schools, for example, imposed English and attempted to eradicate Indigenous languages. One of the impacts of colonialism is the loss of traditional Indigenous languages. Many Indigenous historians, linguists, anthropologists, creative artists, writers, and literary critics work with Elders and communities to replace the Eurocentric stereotypes of Indigenous peoples produced over centuries of colonial erasure, to foster understanding of the plurality of Indigenous cultural traditions, and to revitalize dying languages (for instance, see the Canadian Indigenous Languages and Literacy Development Institute” project at the University of Alberta). For Johnston, and critics like him, to lose a language is to lose a way of life and, once a language is lost, so too is a rich cultural understanding of what it means to be Indigenous. The situation has improved, somewhat, since Johnson wrote this article in 1990, and now there are even iPhone apps like Tusaalanga and My Cree that help people learn Indigenous languages. Likewise, non-Indigenous scholars and advocates work to affirm the diversity of Indigenous voices and cultures and to foster respectful settler-Indigenous relations. The University of British Columbia, for example, now offers an introductory course in Hunquiminem, and many Canadian universities now teach Indigenous languages. Examples of contemporary works that counter the Eurocentric history of North America include Thomas King’s fictional novel Green Grass, Running Water (1999) and Charles C. Mann’s non-fictional historical account, 1491 . In popular colonial accounts, Christopher Columbus’ arrival in the Caribbean in 1492 marks the beginning of history on the continent known as North America. This account is, at best, a story. The metaphor of discovery implies that Columbus found something that had not previously been seen, when in reality he was only (arguably) the first European to do so. Many European settlers considered Indigenous cultures to be inferior and the land free for settlers to claim. One term for this idea was terra nullius, a Latin phrase meaning “land that belongs to no one.” These assumptions were used to justify the seizure of Indigenous lands. In the Royal Proclamation of 1763, King George III is proclaimed as the “owner” of North America, due to England’s victory over the French in the Seven Years’ War. However, the Proclamation is still relevant to Indigenous land claims, because it states that Aboriginal title exists and that, as a result, lands belong to Indigenous tribes and nations until they are formally ceded though the treaty making process. From 1871 to 1921, agreements to share the land were made between Indigenous groups and settlers. These treaties established specific and legally binding rights for settlers and Indigenous peoples (see Hanson’s “Aboriginal Rights” for an overview). Many treaties were signed in bad faith. Other treaties were negotiated orally with Indigenous leaders and then written in English. Often, there was a disconnection between what was agreed to orally and what was written down in English. Treaties effectively constrained Indigenous land use and led to the development of reserves. Some treaties were altered and ignored when it suited settlers, especially as the settlers increased in number. 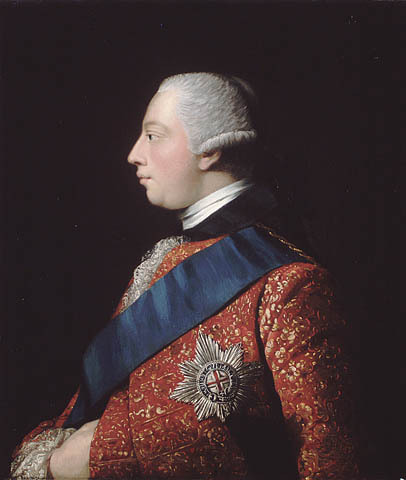 Some regions were settled without treaties stipulated by the Royal Proclamation, as in much of British Columbia, leaving the lands unceded and contested. In BC, the ideology of terra nullius meant that the Crown assumed the Indigenous peoples who lived there, despite their clear claims to the land, did not own the lands. The unilateral theft of land and resources in BC has lead to numerous protests and land disputes, disputes that continue to this day through the treaty process (see Christopher McKee’s Treaty Talks in British Columbia (2000) and the BC Treaty Commission). In Canada, the assumption of Indigenous inferiority was propagated through assimilationist governmental legislation and programs. Most importantly, the Indian Act (1876) made Indigenous peoples wards of the state, giving the government power over Indigenous lands and over who qualifies as Indian within various communities. In fact, although it has been amended many times, the Indian Act still applies today. The government also controlled the performance of specific religious and cultural practices, such as the Sun Dance or the potlatch, and some were prohibited altogether. Through the Indian Act the Canadian government sought to control and regulate Indigenous ways of being, attempting to conform the Indigenous peoples to European governance and values. For example, the government also controlled the performance of specific religious and cultural practices, banning the Sun Dance and the potlatch altogether. Government programs enacted assimilationist policies against Indigenous communities, which have been described as cultural genocide. One of the most egregious programs was the establishment of over 130 church-run residential schools, the last of which closed in 1996. Joseph Boyden’s novel Three Day Road gives a fictional portrayal of the traumatic impact of residential school on an Oji-Cree family. In her review of Three Day Road , Donna Coates notes that Boyden “makes powerful links between the destructive European war and the cultural genocide of the residential schools” (123). Residential schools took Indigenous children from their communities and attempted to eradicate Indigenous cultural and linguistic diversity, or, as Stephen Harper acknowledged in his official apology for residential schools, “to kill the Indian in the child” (see also “Residential”). The Indian Residential Schools Truth and Reconciliation Commission and activists have taken up this phrase to represent the violent ideological implications of assimilation at residential schools. At these schools, instructors frequently abused children psychologically, physically, and sexually. On top of these abuses, the unhealthy conditions at the schools led to a shockingly high child death, ranging from 24% to 75% at the schools or shortly upon returning home critically ill (“Residential” n. pag.). Indigenous Foundations provides detailed yet accessible discussions of issues of Identity, Land & Rights, Government Policy, Community & Politics, Culture, and Global Indigenous Issues. For more on the history of colonial contact, see Charles C. Mann’s extensive history of Indigenous peoples before contact in 1491: New Revelations of the Americas before Columbus (2005). For a more creative perspective on the conflict, see Thomas King’s The Inconvenient Indian (2013). Fee, Margery. Reading Aboriginal Lives. Editorial. Canadian Literature 167 (2000): 5–7. Print. King, Thomas. Green Grass, Running Water. Toronto: HarperCollins, 1993. Print. King, Thomas. The Inconvenient Indian: A Curious Account of Native People in North America . Toronto: Anchor Canada, 2013. Print. Mann, Charles C. 1491: New Revelations of the Americas before Columbus. New York: Knopf, 2005. Print. McKee, Christopher. Treaty Talks in British Columbia: Negotiating a Mutually Beneficial Future . Vancouver: UBC, 2000. Print.